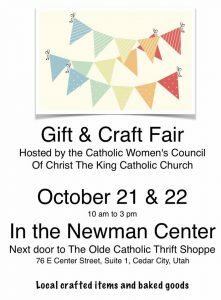 There will be a gift and craft fair on Friday and Saturday October 21-22, 2016 from 10:00 am to 3:00 pm at the Newman Center (next door to the Catholic Thrift Shoppe). There will be local crafted items and baked goods. 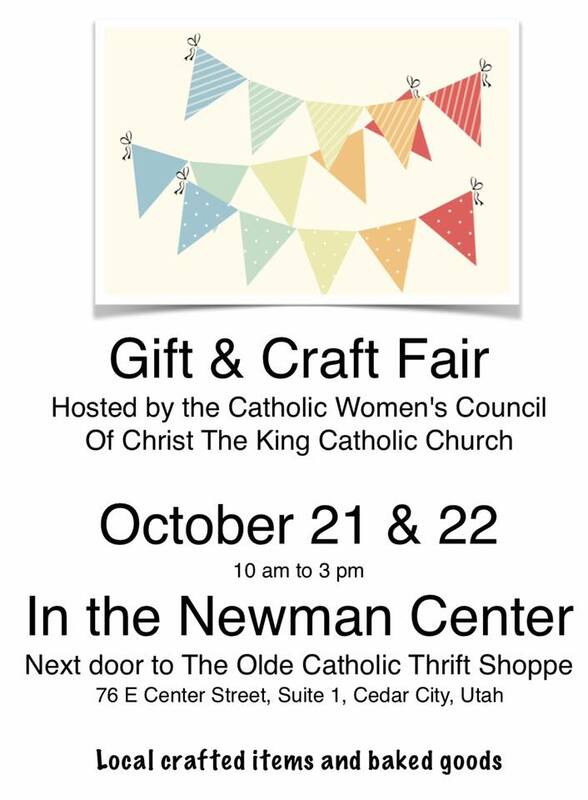 This event helps fund the Catholic Women’s Council local community outreach projects.